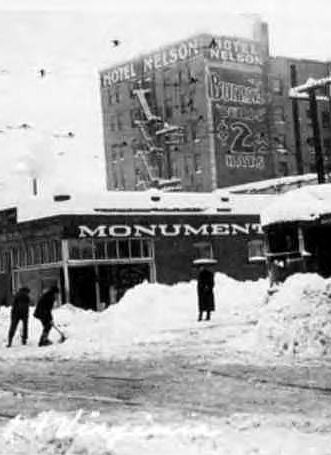 Once nestled on the streets in Belltown (2nd Ave & Virginia St.), this hotel was built in 1909 to accommodate the mad rush of gold seekers of the early 1900’s. 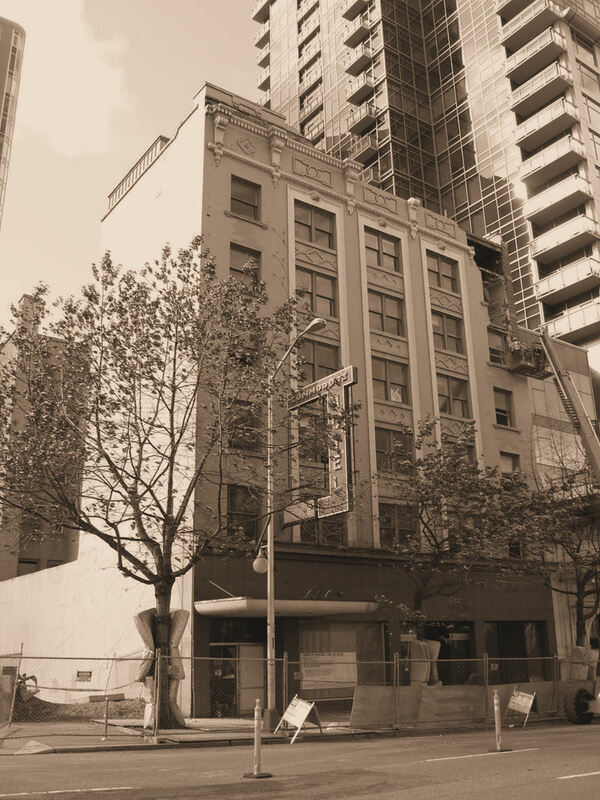 This historic building was originally known as Hotel Nelson and was designed by Seattle architect William P. White for the Coblentz brothers. 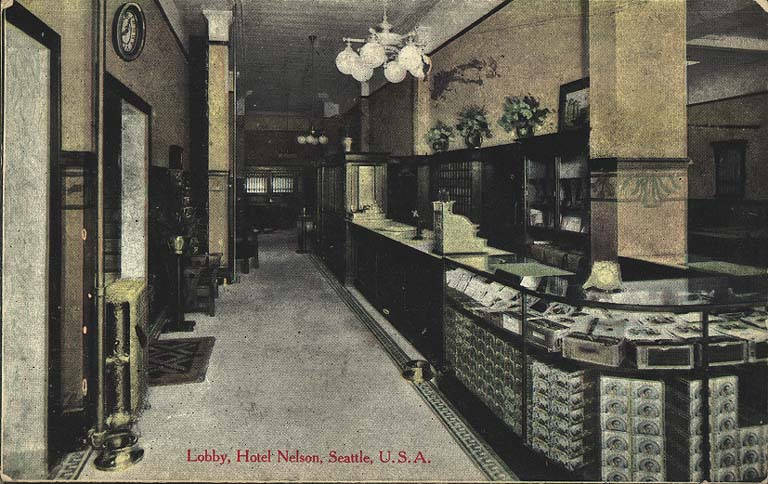 In the 1920s, Seattle had a huge hotel boom, during which many luxury hotels were built. Failing to compete, many older properties were forced to convert to apartments or cheaper hotels. 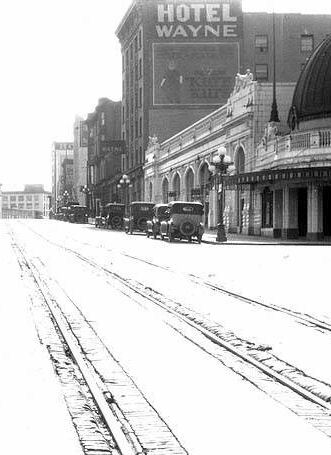 At this time, this location became the inexpensive Hotel Wayne. But like most hotels following the Great Depression of the 1930’s, this hotel started its decline into despair, only to be remembered by locals and its last remaining guests as a flophouse. Guest reviews online suggested this place was nothing to be desired, with blood-stained walls, dirty sheets, smelly rooms and bug-infested beds. Plus, locals had complained of shady people and drug deals going on outside the hotel throughout the night. So it’s not surprising what became of it. However, many guests staying at this forgotten hotel spoke of ghost hauntings as well, from things moving, lights turning on and off on their own, to dark figures seen coming down the staircase. With its history of nasty events and questionable guests, it very well may have held onto some negative energy from its long gone past. Many locals surrounding the Hotel Commodore were happy to see it come down in 2008 after it sat vacant since 2006. Plans were to build a six story condo in its place, but due to the economy it remains a parking lot. Before the building saw its last days, the first floor was boarded up for a few years to prevent any trespassing and vagrants claiming it. Locals living in the area claimed to see strange lights and shadowy figures move across the rooms through the upstairs windows. In fact, these sightings led to calls for the authorities to investigate possible trespassing violations. But when the building was checked over, there was no sign of a living person inside.